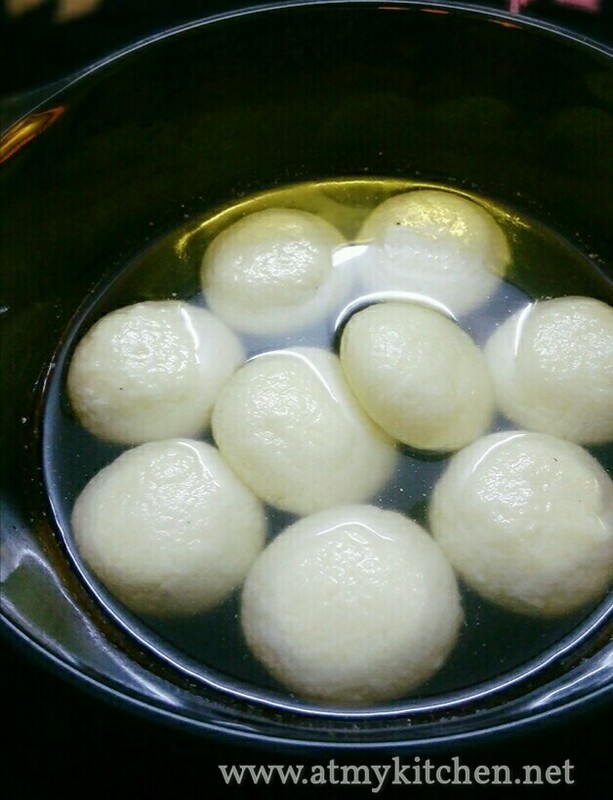 Rasgulla is one of the most popular Indian sweets. 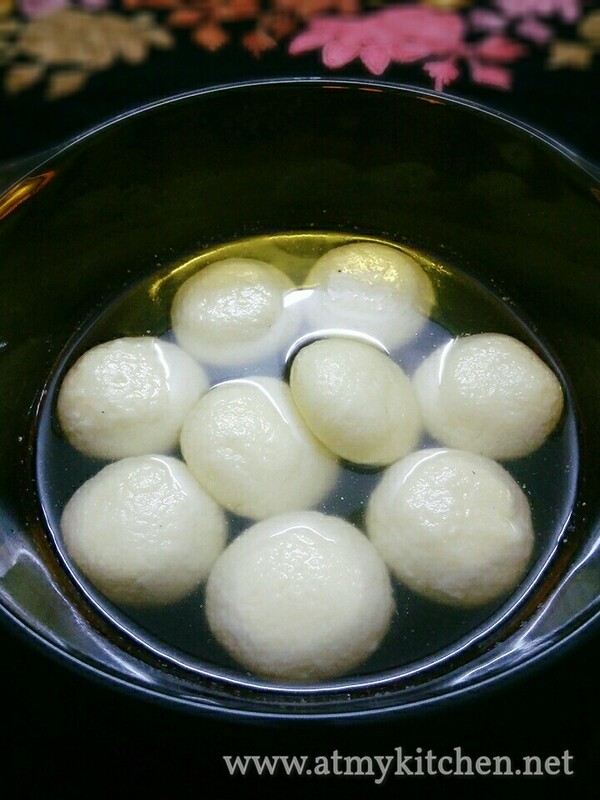 Learn how to make soft and spongy Rasgulla with step by step picture. It is so soft, spongy and just melt in the mouth. These white beauties is one of my favourite sweet. I have made this several times and it never fails. This is a no fail recipe. A perfect recipe for beginners. 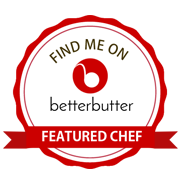 These are made of homemade paneer/cheese by curdling the milk. 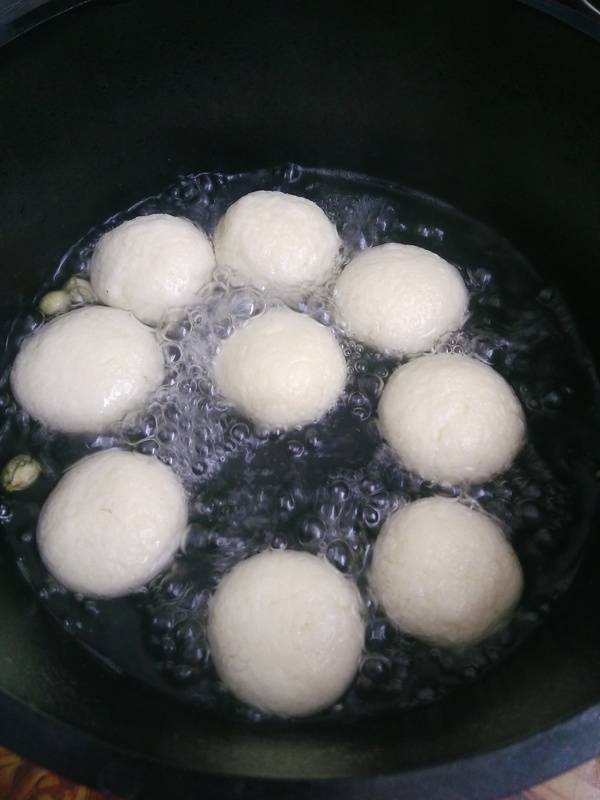 The chenna / cheese collected by curdling the milk is then kneaded into a dough and the dough is rolled into tiny balls and cooked in sugar syrup. In a pan bring the milk to a boil. Once it starts boiling pour the yogurt on it. Let the milk curdle. Turn off the heat and leave it for 2 mins. Now add the chilled water to the curdled milk. Leave it aside for 2 to 3 minutes. Filter and collect the cheese in a cheese cloth or muslin cloth. Let the water drain completely. I squeezed it nicely and drain off the water. Now knead the cheese well to make into a smooth dough for about 10 mins. Take small portions of it and roll to tiny balls. They should be tiny and not big as it will double when boiling in sugar syrup. Add sugar and water to a wide pan and bring to a boil. To the boiling sugar syrup, add cardamom powder. Now add the balls one after the other gently. Cover the pan with a lid and cook for 10 mins on a medium high flame. Gently stir every 2-3 minutes to ensure even cooking and puffing. They will double in size when done. Remove from heat and serve warm or chill in refrigerator and serve.